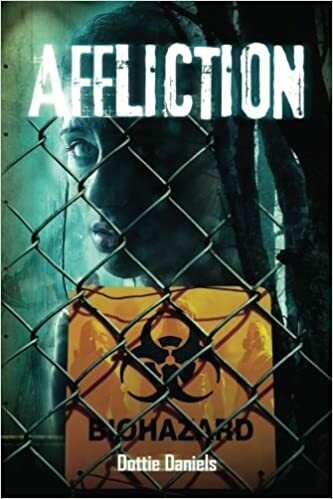 Affliction is about Zombies. That’s almost clear just from the cover. One of the biggest downsides of this book would have to be that given its title it may be lost in a sea of other ebooks entitled Affliction. Of course being that this is written by a newer author this could also be a benefit if someone with a developed fan base drew in readers to ebooks entitled Affliction. Overall Dottie does a great job with the story. I did enjoy this book. At times the story felt more like telling than showing. If you are looking for zombies this book will suit your needs. The writing is entertaining and the characters are relatable. This book does something different in the zombie genre. It has a character bit by a zombie early in the story. This causes the story to stray away from conventional zombie stories. I would read more from this author. That being said this author is guilty of information dumping. Being that this novel leaves room for a sequel I expect that that will be rectified in the future. Previous A Nightbreed Action Game?